Moms Meet Ambassador Bloggers - Apply to try NeilMed Naspira Nasal-Oral Aspirator for free! 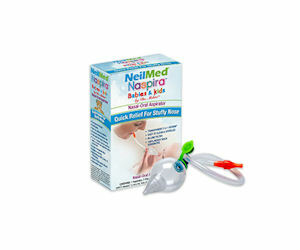 Those selected to review this product will receive a kit worth $95 which includes a NeilMed Naspira Nasal-Oral Aspirator to try and review on your blog, a Sinus Rinse Kit, NasaFlo Neti Pot, and tote bag! Plus, the opportunity to giveaway three NeilMed Naspira Nasal-Oral Aspirators.